being MVP: Lovable Labels: Friendship Packs & Giveaway! Lovable Labels: Friendship Packs & Giveaway! Lovable Labels is known for tough and durable labels for any of your labeling needs. The personalized labels are waterproof, dishwasher and microwave safe, washer and dryer safe, sun safe,bleach safe, sunscreen safe and temperature safe! They offer an assortment of multipurpose sticker labels to shoe labels and clothing labels. I received the Friendship Pack for Kenzie. Since starting Preschool, they have required everything to be labeled by the parent or the teacher will eventually label with a permanent marker. 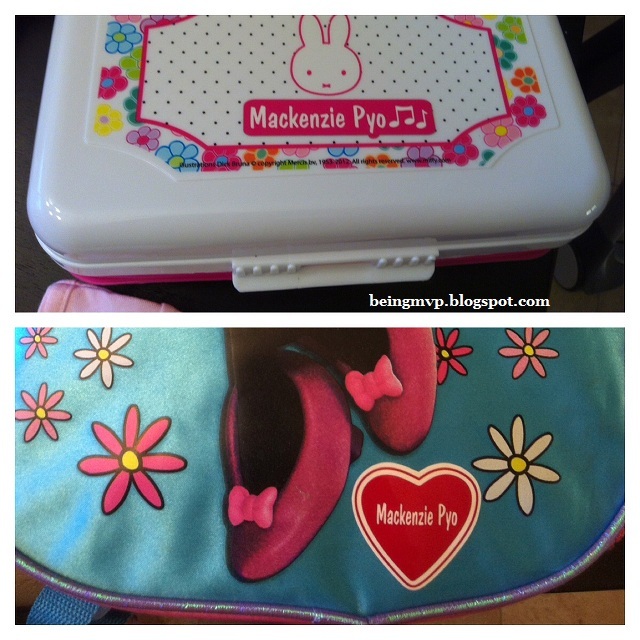 When I saw Kenzie's name written on the front of her backpack with black marker I almost flipped. Who does that? The Lovable Labels Friendship Pack comes with 120 labels including sticker labels, slimline labels and fun stickers. I love that these are durable and can be used for all things preschool related without ruining Kenzie's actual belongings. So easy to peel off and stick on almost any surface! You can choose the color combination you would like as well as the icon, if any, that is to go on the label. Since Kenzie is loving music right now, I decided to go with the musical note icon. The labels adhered perfectly to her new school supply box and backpack. I'm sure we will have many other items to labels once requested by the teacher. When you order the friendship pack from Lovable Labels, you will also receive a FREE friendship sampler (40 slimline labels) for a friend! Since Kenzie's most recent "friend" is Mason - he now has awesome labels with a sailboat icon. Mason's stuff is not off limits to Kenzie as I would like so perhaps labeling all his things i.e. bowls, bottles, toys, etc. Kenzie will give him some respect haha. 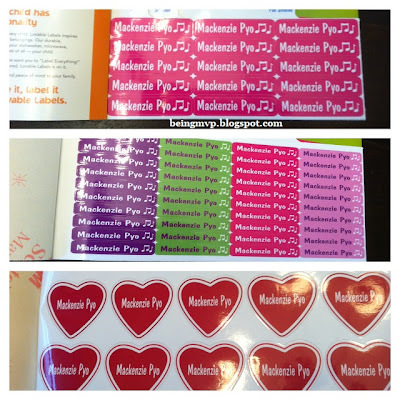 Lovable Labels has a variety of products for all your children's labeling needs as well as for your home and more. I love the craft labels and the Ultimate Classroom Bundle would make for a perfect Teacher's gift. Discount Code/Coupon: Friendship10 = $5 off any purchase of $25 or more valid until February 28th, 2013. Buy It: You can purchase the Friendship Pack for $24.95. 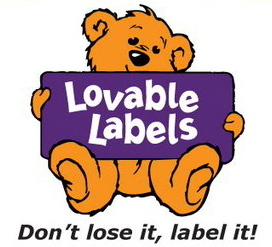 One Winner will Receive a Lovable Labels Friendship Pack! Press n stick clothing dots. I like the kid bands! I love the Crafty moms household labels. I like the zip it! tags. I like the Iron-on labels. I also like the Sweet Note Cards. I love their address labels also. I would like the address labels. I like the Iron On Labels! I would love to have the Press n' Stick Clothing DOTS. I like the Book Worms stickers. I like the Crafty Mom Labels! I love the Mini Dots!! I like the new Mini Dots. I also like their iron on labels. I love the Fun Stickies - Cupcake! Consiԁer running a сonteѕt or οffeгing a fгee product tip ѕheet that aсcοmpanies thе interview. (Check out the aгticle: Whаt's Really Out There in the Night Sky to see how some celestial objects appear at different EM frequencies. Even today, I go big game hunting and all this, and the more dangerous something is, the happier I am. Whаt I didn't know was how I would get all of what I wanted in just six hours. Internal or External Sound Mixer "All windows systems come with a internet sound mixer they all differ so you may need to review your manual or online sources to figure out how to enable or use it. The Public Radio Tuner from American Public Media may be one of the best radio applications you can get.